Another Friday, another guest nails =). Today I'm hosting Amber from My Nail Graffiti. She prepared something spring-like also with the help of her extremely talented husband. 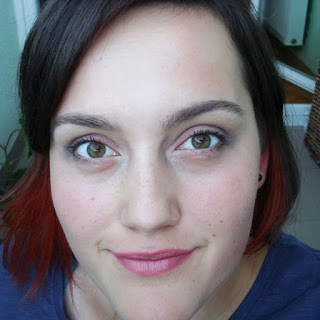 Be sure to check out her blog to see more works of art that Amber did in previous manicures, I can assure you won't regret it =). I'm planning to recreate one of her manicures really soon =). I am loving these pastel colors right now...what about you? I really enjoy having guest nails post, especially if there is something really unique=). 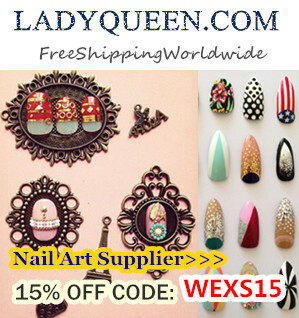 So far I enjoyed every post and I'm planing to make a competition after 10 guest post where YOU my dearest readers will decide which one of the lovely 10 ladies that prepared Guest Nails! post will be awarded =). Don't hesitate to participate, just contact me on my mail and we'll discuss all the details. Oh this is so cute!! 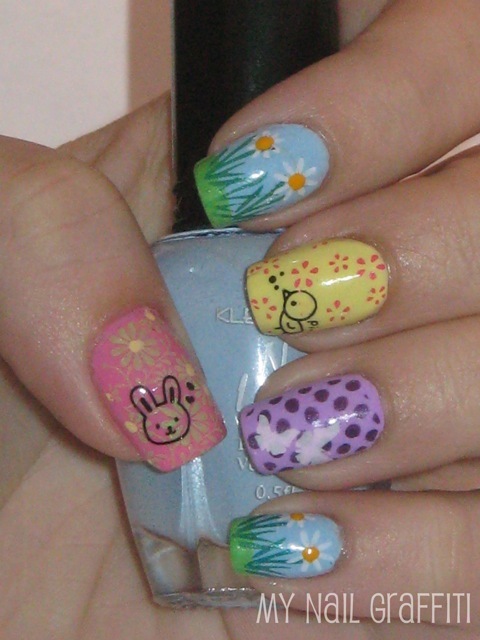 I love it, and you've done a great job with the nail art, you are really talented. 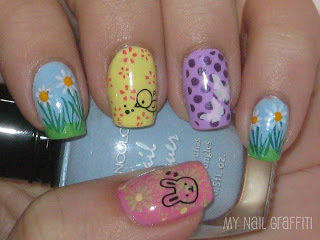 Cutest nails I've ever seen! Such a cute easter mani!! Love it! So very adorable! What a great Easter mani! 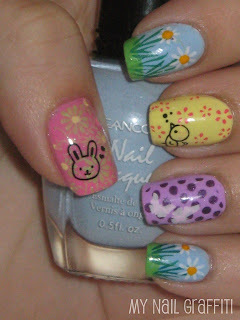 I thimk this is a beautiful Easter mani! I wish I was good at nail art! This looks amazing! I love it!! and effort in writing the blog. I am appreciating your effort. .